The Robertson Law Group of Nashville, Tennessee, is dedicated to providing the highest quality of legal advice for business clients throughout the state. With more than 10 years of legal experience, the attorneys of the law firm represent business owners and professionals in business law, construction law, bankruptcy law, and real estate and commercial law. The firm also acts as local counsel for lawyers outside of Tennessee. As experienced negotiators and litigators, the attorneys of the firm work diligently to pursue their clients' best interests. They provide business representation for employers in a variety of areas, including business formation, business operations, contract negotiations and disputes, buy-sell agreements, trademark litigation, noncompetition and confidentiality agreements, and other areas that affect the day-to-day operations of a business entity. The law firm also represents creditors in matters of business bankruptcy. It helps creditors pursue claims against bankrupt parties through debt collection and the return of collateral, leased equipment as well as real property. The firm also represents landlords of commercial and residential property in matters of lease preparation/negotiation, landlord-tenant disputes, evictions and other real estate concerns. As a service to clients, the firm offers flexible fee arrangements and accepts credit card payments. It also offers a free initial consultation to all new clients. Free parking is also available at the office. Consultations are arranged by appointment only. 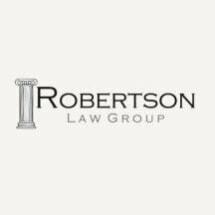 The Robertson Law Group is a construction and business law firm representing business clients in the Nashville area and throughout the state. Known for the professional quality of its legal representation and dedicated client service, the firm often receives referrals from other attorneys and former clients. It works efficiently to obtain effective results on behalf of its clients.